That was my “pork” story, which I don’t even think pork is technically a “red meat”…whatever. I will stick with my chicken and salmon on the George Forman. 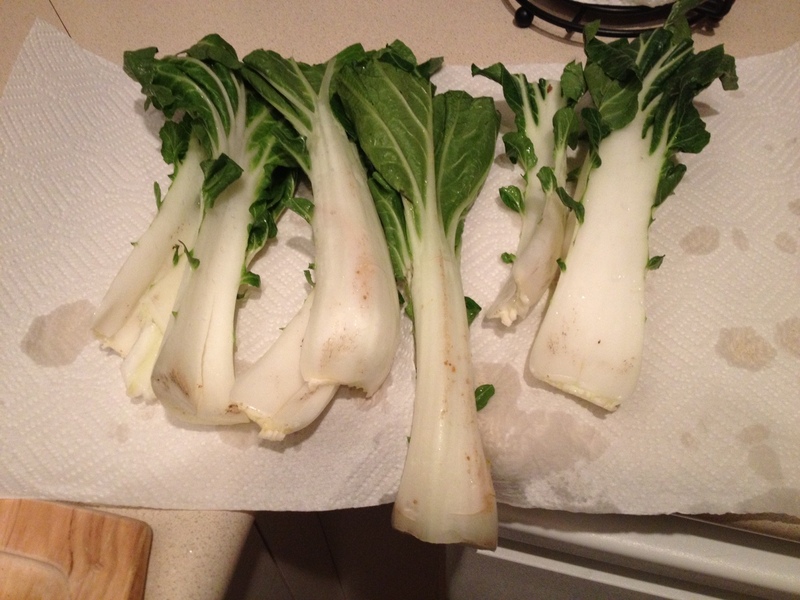 So I guess I decided since I didn’t have enough bad cooking experiences for a week I would cook tofu and bok choy. hmmmm. This is Tofu. 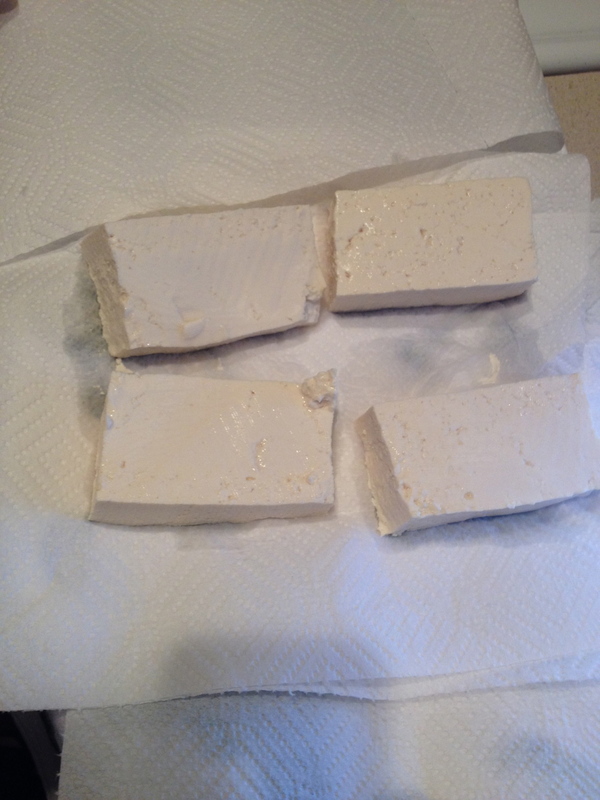 This is the first and last time you will ever see Tofu on this blog. Tofu comes in a water packed container, you have to drain the water, and then smoosh it to drain out the rest of the water (like my choice of word? so technical, I know). They recommend placing paper towels and a dish rag over top then placing heavy cookbooks and other heavy objects like your Brita and a jar of marinara sauce on top to drain the water out. I did that. Then I got home from work, checked on my beloved (HIGH MAINTENANCE) tofu and it had frozen. Yep, that’s right, something went wrong in the fridge and my tofu that I smooshed and let drain all day was frozen solid and stuck to the paper towels and ended up in the trash. Sorry tofu lovers. 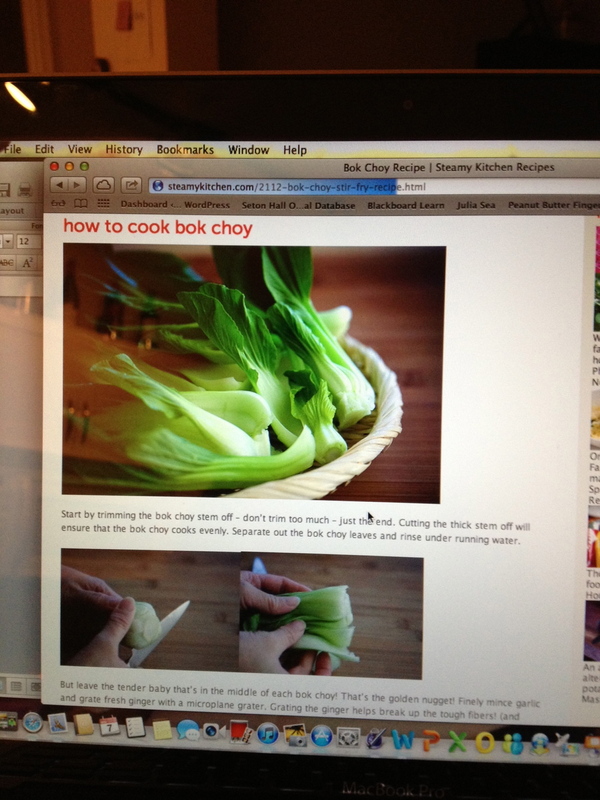 So then I looked up a recipe for Bok Choy…my mom gave me some ideas and yes, Mom I added ginger, garlic and olive oil. I think I cooked it right, but I wasn’t a fan of the texture (I had grains of it in my teeth, yuck) and the taste. 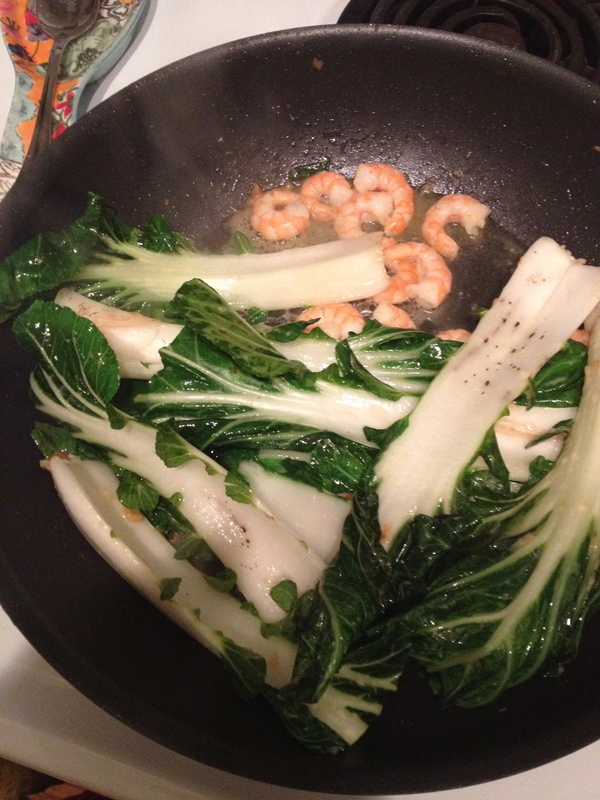 I cooked it up with some shrimps too for some protein. I can do shrimp people. Like, do I eat that white part? I think that is the part that got trapped in my teeth. Never again. I do not like high maintenance foods. If it has to soak, get squisshed, smooshed, whatever it is…I AIN’T doin it (unless it is for chocolate chip cookies). (I am allowed to be high maintenance BTW, just not my food). I like simple, chicken is simple. Shrimp is simple. Pork is scary. I do not like crunchy weird-looking vegetables that I can’t pronounce. 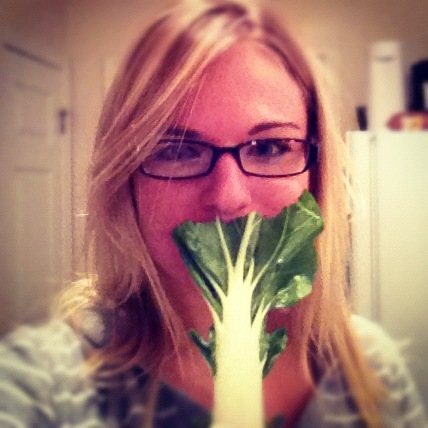 (Roodabega…Endive…no thanks, I am all set). I should stick with pancakes for dinner. I know this is a disappointing and slightly negative post..sorry for that. I did try to hide from you guys behind the Bok. My mom is going to be so disappointed in me. Hopefully I can make it up to her at Thanksgiving when I help her put the Cornucopia on the table.